Sometimes you daydream about living the “big life”--a big house in a big city, full of big, important jobs and ideas. But deep down, you know that you don't need all that “big” stuff to do big things! You don’t even need to be big to accomplish big dreams! If at times you need a little reminder of this important life lesson, just look to Winnie the Pooh's best pal, Piglet. That little guy does all kinds of great things despite being a little shorty and all his friends respect him for it. 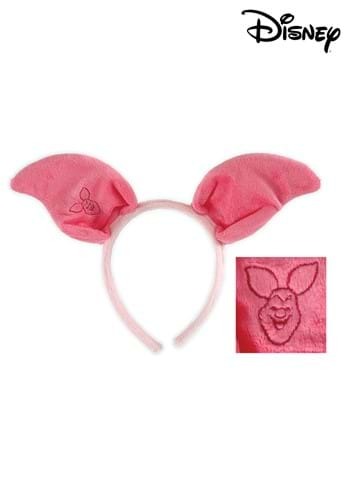 In fact, why not go one step further and slip on these Piglet Ears for your Halloween bash? You can try walking the little Piglet walk all night long. So, how about it? Are you ready to put on these ears and do some big things in 100 Acre Wood? The first step is to start small and cherish the little things!